And today I have a treat…at least I hope it’s a treat. Remember that OUAT series…The Blushing Swashbuckler?? Yeah, well I have a new chapter for you!! 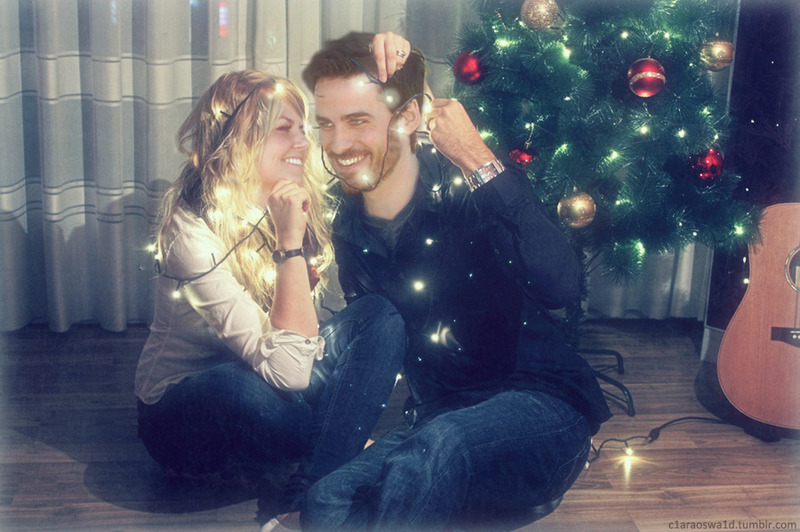 This is your Captain Swan Christmas treat and I seriously hope you enjoy it. Hopefully you can tell what exactly this entails. Anyways, it’s pic heavy for your enjoyment and, like I said, hopefully you laugh a little. So Happy Christmas Eve to all who celebrate and Happy Holidays for everyone who celebrates something different and Happy Thursday for those who don’t celebrate at all. I have another new chapter of Behind the Camera for you! This was originally part of chapter 8, but like I explained before, I had to split it. Seriously. This deserved it’s own dedicated chapter and you’ll see why. A huge-HUGE-thanks to MissRissa for all her input. Some of the funniest parts were her brainchilds…brainchildren…ah well, you get what I mean. And the pasta story…yeah it’s based on something that actually happened to me. So yeah, click the banner to go to the story homepage and the link to go to the new chapter. I have a new chapter of Behind the Camera for you. Some people had questions about the movie that they’re actually shooting and the timeline, so I’m gonna tell ya a little about those. In this chapter, and the next, it’s June 23, 2012. They’ve been in Lake Charles shooting since June 1. And the movie itself isn’t really the big focus of this fic, so I’m not really focusing on it. That’s it’s rare to see the actual filming and the dialogue is fairly minimal. I will however type up a small synopsis of the movie if y’all want. So yeah, I’ll shut up now. :) Click the banner to go to the story homepage and the link to go right to the chapter. Enjoy lovelies!!! Today I have for you a one shot that-I hope-will have you laughing. :) This was born out of one of the conversations between MissRissa and I. Don’t even ask…please. So without further ado, here’s Famous Last Words. Just click the banner below and enjoy lovelies!